Thy roots are wrapt about the bones. Beats out the little lives of men. 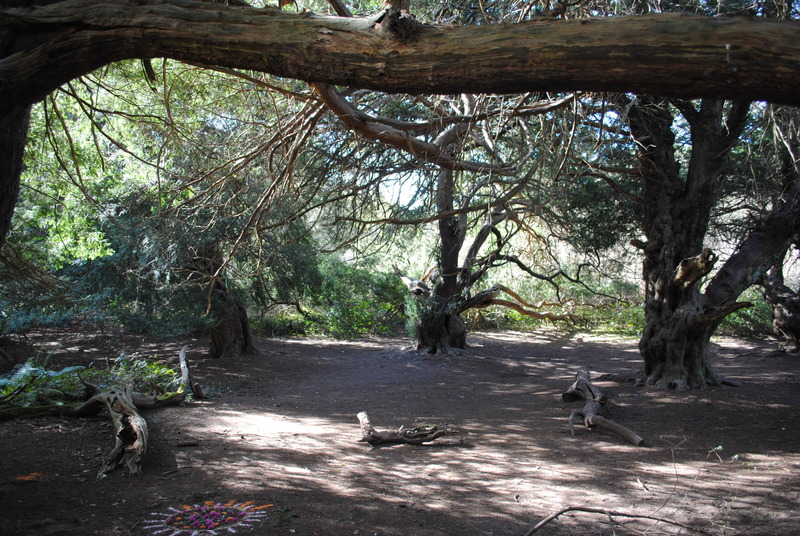 The yew trees of Kingley Vale comprise the most extensive yew forest in Britain and perhaps in all of Europe. Nestled in a cleft of the South Downs not far from Chichester, the site was declared the UK’s first National Nature Reserve in 1952. As well as ancient yews, there is open chalk grassland and a mix of oak and ash to support the wide variety of birds and butterflies that home there. But it was the yews that drew me to Kingley Vale. 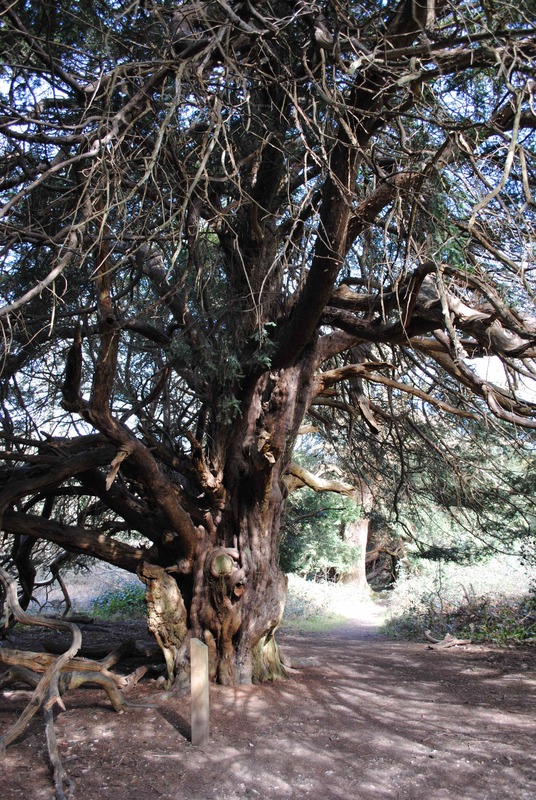 According to Tim Hills and Toby Hindson in their paper on the Ancient Yew Group website, a tree should be classed as ancient if it is more than 800 years old. Yews are notoriously difficult to date, given that their trunks multiply and hollow out over time. One standard method is to measure their girth. This can be imprecise and even deceptive: yews may grow very slowly in poor conditions. But whatever metric is used, it is accepted that many of the trees at Kingley Vale qualify as ancient. And yews, barring drastic changes in environmental conditions or sudden destruction by humans, will keep living, on and on. No-one knows what the natural lifespan of a yew is. They could be the immortals of the natural world, slow-growing and tenacious, shaped, but never defeated, by time and weather. Think of yews and thoughts of churchyards immediately follow. While there is no consensus about the link between the two, it is indisputable that many of these yews are older than the churches they grow beside. The implication is that the sites were sacred long before the coming of Christianity. All kinds of neo-pagan myths have accreted around these trees, whose ages may count in the thousands of years. But what significance the yew held for ancient people is unknown and probably unknowable. The entry on yews in the Oxford Dictionary of English Folklore is surprisingly dismissive on the subject, stating simply that the introduction of the yew into churchyards was made in imitation of the cypress and laurel in Mediterranean cemeteries. The nature writer Richard Mabey thinks that the yew had some kind of pre-Christian significance but demurs on whether that was spiritual, given the lack of evidence. While the reasons for this significance are unknown they are not beyond all conjecture. 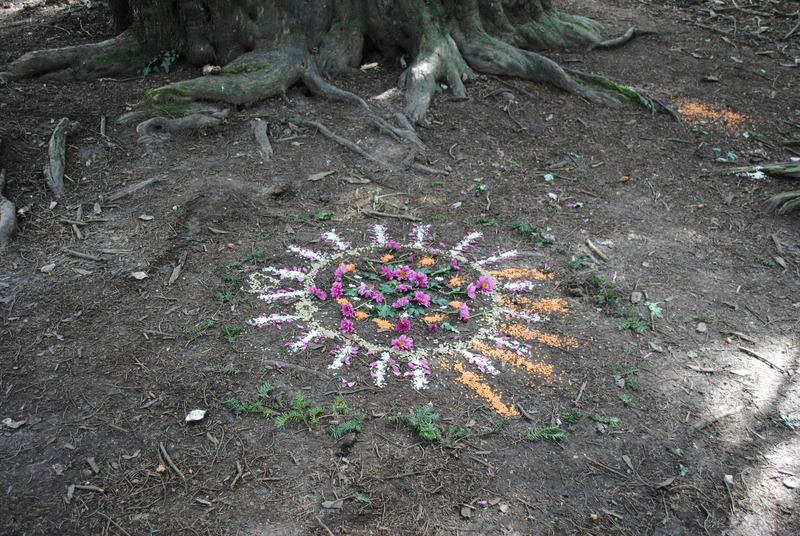 The qualities of the yew may have prompted awe and even reverence all those centuries ago. There is its longevity, shading into immortality, and there is the death that its poisonous parts – bark, foliage, seeds – inevitably bring. And there is the yew as a kind of natural shapeshifter: what Fred Hageneder, in his book Yew: A History, calls ‘a uniquely wide spectrum of morphological plasticity’. Speaking of yew poison, I once listened to a Radio 4 programme about the Fortingall Yew in Perthshire, said to be 5,000 years old, in which Mike Strachan of the Forestry Commission said that three English kings have been killed by it. I haven’t been able to find out who he meant. Did that hunting ‘accident’ that William Rufus met in the New Forest involve an arrow tipped with yew poison? In the Middle Ages the yew brought a more industrialised form of death-dealing. The trees supplied the wood that made the longbows that won the days at Crécy, Poitiers and Agincourt. The strength and flexibility of yew wood made the best bows. Many forests of yew were felled for the purpose, eventually exhausting the indigenous supply of suitable timber. And I suppose that only the oldest and youngest – and crookedest – survived. Some forests are green cathedrals, with upright, soaring trees, and the vault of branch and foliage high above. The yew forest of Kingley Vale is a many-roomed mansion, full of hidden passages and secluded chambers. Some of the red-brown trunks are so hollowed out that you wonder if they are really still alive; some of the profusion of branches have kissed the ground for so long that they have taken root there. I believe that there are forests of monumental yews in Turkey, towering and almost straight. The natives of Britain are nothing like those ones. You can walk to the highest part of Kingley Vale, where the Bronze Age tombs blister the down, and, if the air is clear, look out over forest to the Solent and the Isle of Wight. The chieftains and warriors in those graves might have gazed out from the same spot and seen the same contours of hill and shore long ago. And I like to think they would have seen some of the same yews too, those ancient ones of Kingley Vale.